Coastal theme AP, large stemmed wine glasses. Anchor & Rope design features a large deeply sand etched anchor with rope. 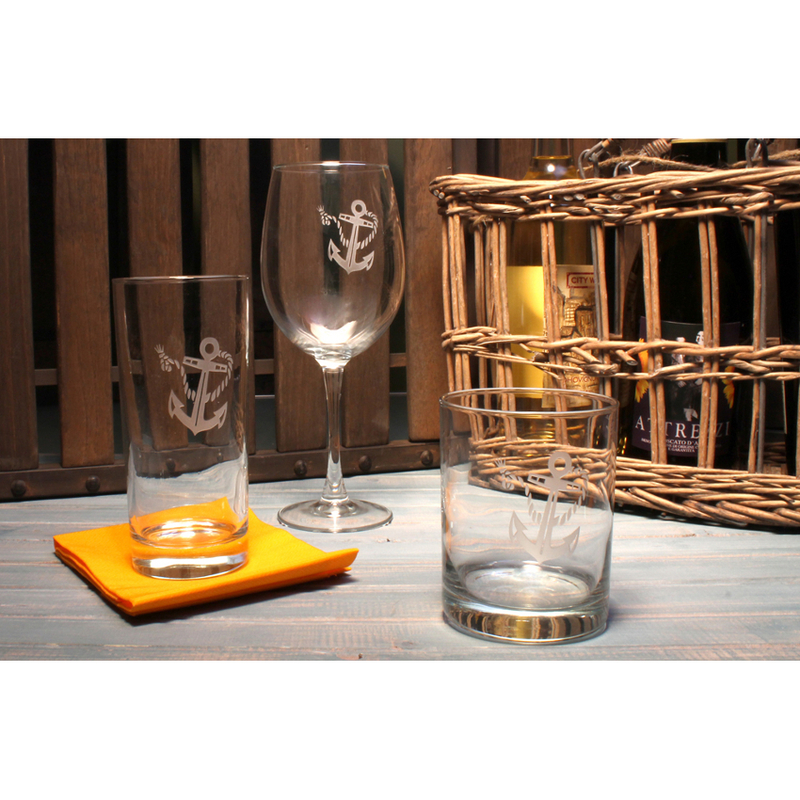 This Anchor glassware is perfect for your beach entertaining. 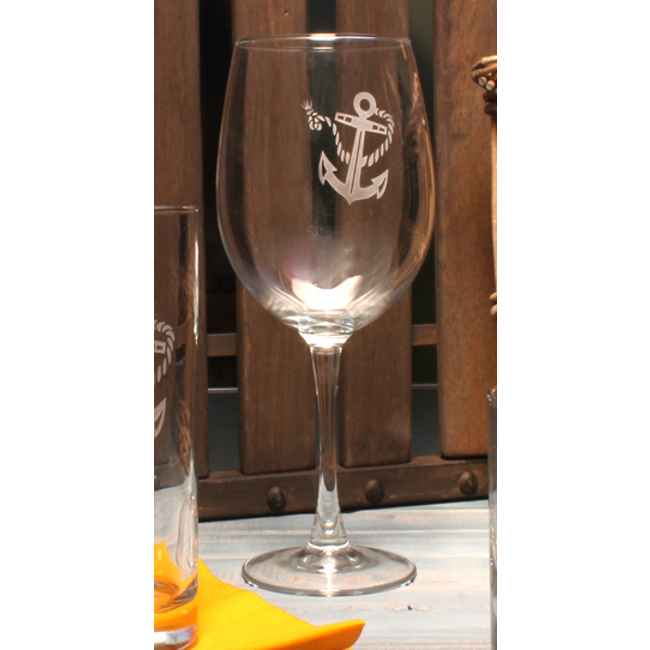 This glassware will remind you of the classic nautical iconic symbol know around the world the "anchor". This anchor and rope is a reminder to let the good times "sail on". Take a look at our related product section. Mixing your coastal collection of designer glasses will add more interest to your next beach party. Any of the coastal glass sets are worthy of being at your next gift giving occasion or simply a way to say thank you for a memorable time at the beach. Each anchor and rope glass is deeply sand etched and sparkling polished. Dishwasher safe.